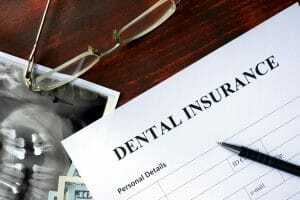 Unless you work in insurance, a dental office, or have a hobby of studying dictionaries, it is likely that you are not completely familiar with the terminology used in dental insurance. Having a better understanding of these terms may lead to a better understanding of your benefits and policy. Remember that your dental insurance benefits will likely restart in 2019, so you want to utilize all you can in 2018. If you live in Lafayette, LA or surrounding areas and do not have dental insurance, we accept other forms of payment. Our office wants to help make sure you receive the dental care you need. Annual Maximum: The maximum amount that your insurance plan will pay within the year. Benefit Year: The 12-month period in which your deductibles, maximums and other plan provision are applied. The actual dates may be different depending on your start and end time. Co-payment: You may hear it referred to as a co-pay. The amount paid by you (the patient) before services or before the insurance pays. Covered Services: The list of all services, procedures, and treatments that your insurance policy will pay for under your plan. Deductible: The total amount that you must pay toward treatment before benefits are paid. The dollar amount for the year will be listed in the benefits explanation. Exclusions/Limitations: Any service, procedure, or treatment that your insurance company will not cover under your plan. Out-of-Pocket Costs: The deductible, co-payments, and any amount over the annual maximum that the patient pays. Preventive: Treatments and exams designed as proactive steps to protect oral health. Exams, cleanings, and some other treatments may fall under this category. This glossary touches on just some of the most common words associated with dental insurance. If you have questions about your plan or coverage, please feel free to ask our dental team. We will do our best to make sure you understand your service and benefits as it applies to your experience with us.